"Mikhail Illarionovich Kutuzov", by A. 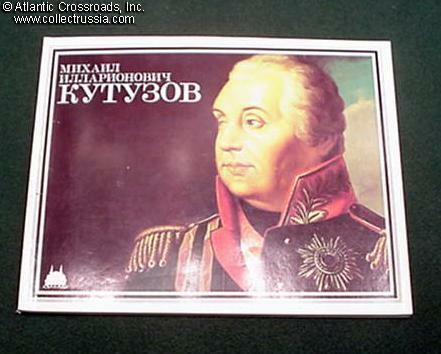 "Mikhail Illarionovich Kutuzov", by A.S. Korkh Lenin State History Museum publication, Moscow, 1989. In Russian with partial English translation. Illustrated biography of the Russian field marshal who defeated Napoleon in the 1812 campaign. Shows excellent collection of artifacts from napoleonic era, as well as close-up pictures of the Soviet Order of Kutuzov. Soft cover, fine quality, 120 pp.